Classical Trumpeter and Gold Medal Global Music Award Winner Mary Elizabeth Bowden has been described by Gramophone Magazine as “brilliant” and “radiant in new repertoire for trumpet.” Bowden, a Yamaha Performing Artist, is highly regarded for her artistry and virtuosity as a soloist, and has been praised for the clarity, purity and power of her sound. Bowden released her debut album, “Radiance”, on Summit Records featuring new American works. She has been featured on MPR’s “New Classical Tracks” with Julie Amacher, which is being aired on NPR stations nationwide. Bowden’s 2017-18 performance highlights include solo performances with Montana’s Big Sky Festival, Evansville Philharmonic Orchestra, Chrysalis Chamber Players, and the Bonita Springs Concert Band. She will perform over 30 concerts in Mexico and the U.S. with Seraph Brass, a quintet composed of America’s top female brass performers. They will release their debut studio album on Summit Records in January 2018. Bowden is the First Prize winner of the 2012 International Women’s Brass Conference Trumpet Competition. She has performed as a soloist with the Peninsula Symphony (California), Laredo Philharmonic Orchestra, Croatian Army Wind Band, Festival Amadeus Strings (Montana), Springfield Symphony (MO), Naples Symphony, Fifth Avenue Chamber Orchestra (Naples), Richmond Philharmonic Orchestra, San Juan Symphony, Springfield (OH) Symphony Orchestra and New Haven Chamber Orchestra, among several others. She has performed with trumpet soloist Jouko Harjanne at the Lieksa Brass Week in Finland, where she also served on the jury of the Lieksa International Trumpet Competition. At The Banff Center in Alberta, Canada, she performed Vivaldi’s Concerto for 2 Trumpets with trumpeters Jens Lindemann and Ryan Anthony. She was also awarded the Public Prize from the 2009 Perrenoud Foundation International Music Competition. 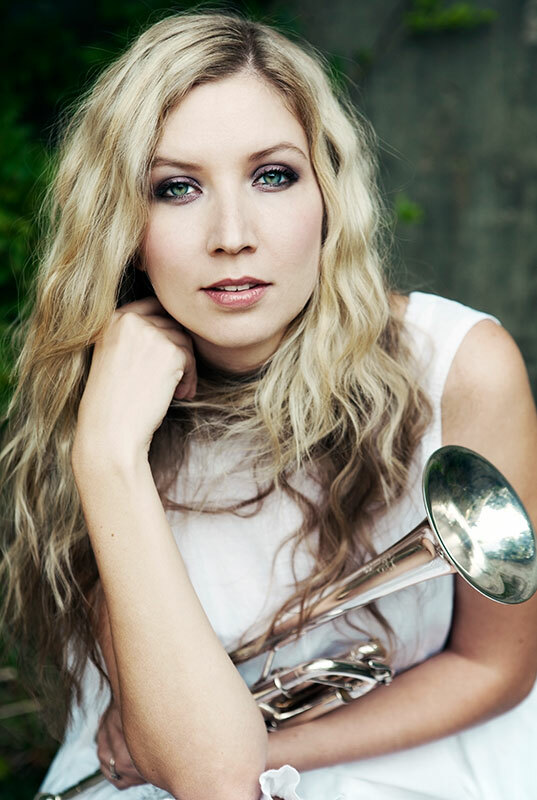 Bowden frequently performs in recital both in solo programs and in a duo with her husband, trumpeter David Dash. Bowden and Dash will begin teaching in the fall at the University of North Carolina School of the Arts; Dash as the Assistant Professor of Trumpet and Bowden as a Resident Artist. Bowden is a founding member of both Seraph Brass and the Chrysalis Chamber Players, a recipient of a Yale Alumni Grant. Seraph was the featured ensemble at the 2017 International Women’s Brass Conference and at the Lieksa Brass Week in Finland. She has collaborated in chamber music programs at the Marlboro Music Festival, Lakes Area Music Festival, The Banff Centre, and at the Sydney Opera House under the baton of Håkan Hardenberger. She has served on the adjunct faculty of Virginia Commonwealth University and at The Curtis Institute of Music’s Young Artist Summer Program. An experienced orchestral musician, Bowden is currently Principal Trumpet of the Artosphere Festival Orchestra. She has served as Principal Trumpet of the Sarasota Opera Orchestra, Lakes Area Music Festival Orchestra, New Zealand’s Auckland Philharmonia, the Daejeon Philharmonic in Korea, and with Seraphic Fire’s Firebird Chamber Orchestra. At the Lucerne Festival in Switzerland, she held the principal chair in Pierre Boulez’s performance of Mahler’s Symphony No. 6, which was released on CD in 2011. The Luzerner Zeitung described her playing in one word – “outstanding.” Bowden is also a member of the Richmond Symphony Orchestra and the Des Moines Metro Opera Orchestra. She has also performed many dates on Adele’s 2016 North American tour.